All PPS students will attain academic excellence. PPS courageously confronts and overcomes inequities. All PPS students will acquire positive social and emotional skills. PPS attracts, supports, and retains talented and diverse people. 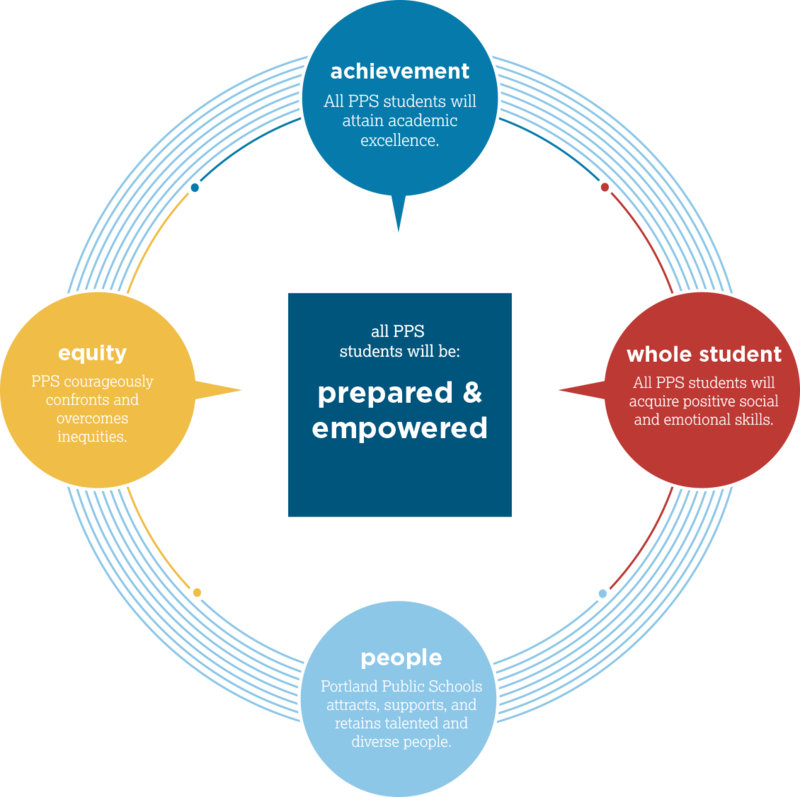 If Portland Public Schools intentionally engages its community and attracts, supports and retains a strong and diverse team of PEOPLE who hold all students to high expectations (EQUITY) in academics (ACHIEVEMENT) and social/emotional learning (WHOLE STUDENT), then all PPS students will graduate prepared and empowered to pursue their personal goals. We are all expected and enabled to meet high standards. We embrace all modes of learning and encourage experimentation, ingenuity, and boldness. We respect and value each person as an individual. We are better together, and we support one another. We commit to always confronting inequity.